Another couple of deals for you lucky US residents - from Waldorf and Korg. The Waldorf deal is focussed on the KB37 (Distributed by Korg in the USA) - the 107hp Eurorack case with power and 37 note keybed, Buy this between 15th September and 15th October 2018 and you'll get a Waldorf NW1 Wavetable Module which includes the ability to record your own samples into the wavetable engine. 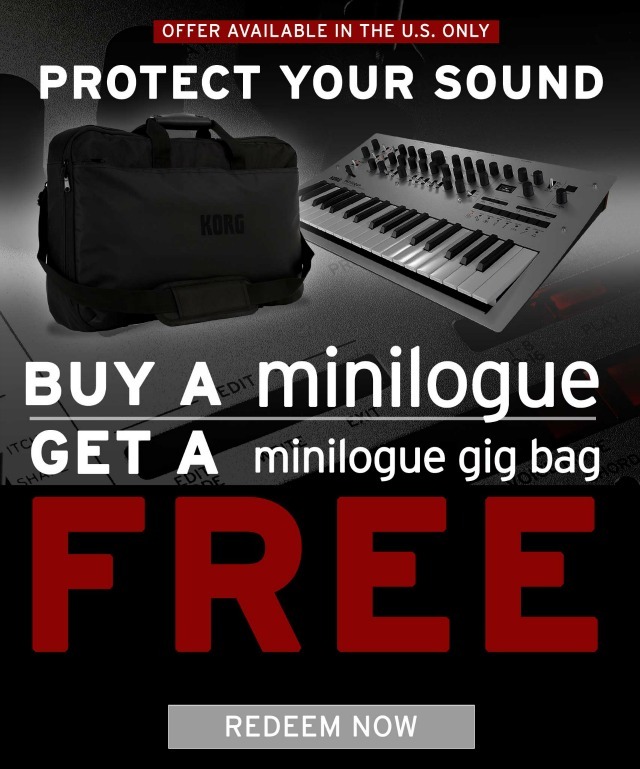 Redeem your deal at the Korg US Website here. 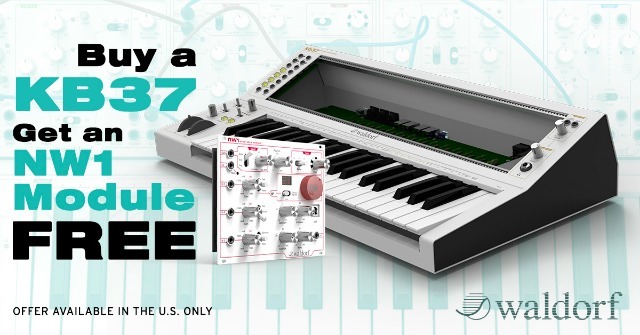 Starting September 15th 2018, every minilogue purchase from a participating retailer will include a free custom-fitted case. 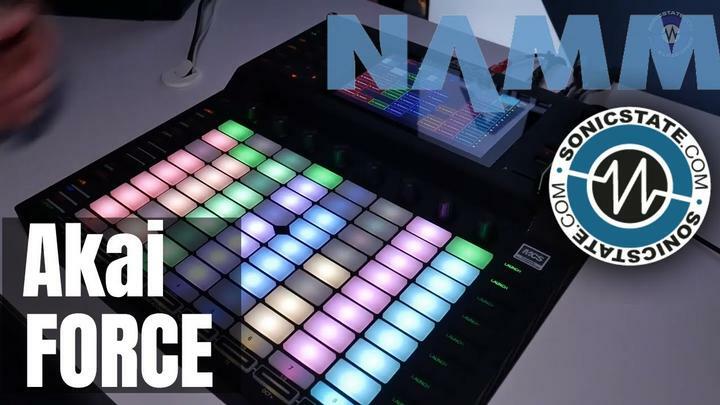 Users can now easily and conveniently protect this must-have synth at no cost, the perfect solution for the musician on the go. The award-winning minilogue is one of the hottest synths in the market, delivering incredible sounds made possible only with real analog. This limited-time offer ends October 15th, 2018 and is only available in the United States.